1979 Ford Pinto Pony - A few weeks ago I posted a 4000 mile Chevy Vega. I guess I need to post this car, too. The Pinto had a lot going for it. The engine, a 2.3 liter 4, was far more reliable than the Vega's aluminum engine. In fact, the Pinto engine was a very good engine that was used in a number of Ford cars and stayed in production until the late 1990s. Probably its best use was in the Mustang SVO and the Merkur XR4Ti. In both those cars it was turbocharged. The body was pleasant enough to look at and didn't rust nearly as quickly as the Vega did. This Pinto has just 5,583 miles on it. Why? According to the seller, "The lady that bought the car new became worried about driving the car after hearing that the car could catch fire if hit in the rear.... So she did the unthinkable and parked the car in the garage and would only drive it up and down the street..."
Ironically, this is a "safe" Pinto. In 1978 Ford recalled the Pinto and retrofitted a safety kit. Subsequent Pintos (like this one) came with the kit and are as safe as any small car built in the 1970s is. Located in Shawsville, VA, click here to see the eBay listing. 1973 Jensen Healey - This appears to be a really nice Jensen Healey. It's all original and the seller says it has no rot. The Jensen Healey uses the Lotus 907 engine. In fact, it was the first car to use the Lotus 907 engine. This engine had some problems, but most were addressed by Lotus later on and the fixes can be retrofitted to the Jensen Healey. There are very few of these cars left. Rust was a huge issue and many just rotted away. If this car is everything the seller says it is, the Buy It Now price of $5,850.00 is reasonable. Located in Wind Gap, PA, click here to see the eBay listing. For $80,000.00 you can buy this very nice 2001 Ferrari 360 Modena and have enough money leftover to buy this 2008 Audi Q7 to use in bad weather. Or, you could buy this incredible 2010 Aston Martin V8 Vantage and still have enough money to fill the tank a dozen times. 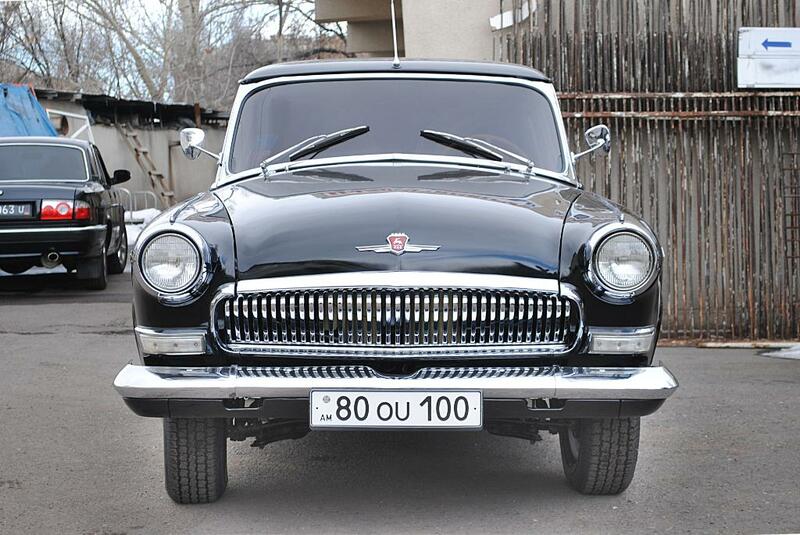 Or... You can buy this Volga. If you've been reading JaCG for awhile, you know that I'm fascinated by, and am a fan of, many Eastern European and Russian cars. This one sure is in nice condition (I'd say it's the nicest one I've ever seen, but I've never actually seen one), but is it really worth $120,000.00?? If it is, and you're looking for one, here's your chance... Located in either Armenia or Studio City, CA, click here to see the eBay listing. PS - Me? If I had $120K burning a hole in my pocket, I'd go for the third group of cars listed above. Yeah, I stumbled across that Pinto myself a few days ago, and I had a feeling it would end up on here soon. I don't really have an opinion on Pintos but man, the interior in that particular Pinto Pony... it could only come from the late 70's. My wife had a '79 Pinto - what a hunk o' junk, especially compared to my '82 Dodge Colt Twin-Stick. I recall a trip to NH to ski in the dead of winter, driving the Pinto in a blinding snowstorm along the Kancamagus Highway.... Ugh.